If you want to know the real reason Station Casinos declared bankruptcy, look no further than the $50 burger lunch they foisted upon ELV recently. Perhaps the fact that the hotel is deader than Julius Caesar these days explains such bizarre hours, but nothing can explain a $50 burger lunch…for one. Yes, that’s what our far-from-perfect “Perfect Burger” cost us, along with “cheese curds” (really just some deep fried cubes of cheap mozzarella), some pretzel nuggets (“with two dipping sauces!”), and two small bottles of sparkling mineral water. That burger had a bun to meat ratio of approximately 3 to 1, and more moving parts than a Mexican soap opera. Somewhere beneath all the bread, sauce, bacon, cheese, marmalade(? ), lettuce, etc. we found some pretty good meat, but we’ll take the beauties at BLT, Stripburger and Burger Bar any day. There’s no doubt that Red Rock Station is a beautiful place, but pricing its food (especially its hamburgers) above what you find on the Strip, is about the dumbest F&B decision imaginable (or anyone else who signed off on these pricing decisions — see comment below). It may not be the reason the hotel operation tanked, but it’s surely, metaphorically, indicative of the Fertitta hubris that helped sink the ship. Tariff for lunch for one: $43 + a $7 tip…and no, it’s not worth it. One, thing, though: not sure you can totally lay the pricing blame at the feet of Station/The Fertittas. LBS isn’t owned by the company, its owners just lease the space: a point they’re all too happy to point out if you try and use a Stations food coupon (the ones that say they’re valid “in any restaurant”) there. Very funny stuff — especially about the analogy to a Mexican telenovela; are you witty or what? We’ve always liked Salt Lick (minus the waiting times when they first opened), but didn’t know about their ridiculous opening hours. I remember they did close at 9 p.m. or so on a Sunday when we were there, which seems bizarre. There’s always Adam’s Ribs on Flamingo and 215 as a good alternative. 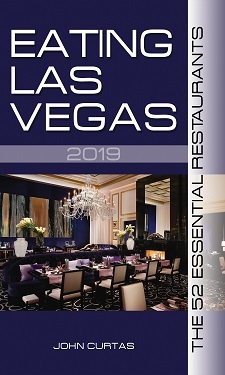 Owned by Lil’ Billy Richardson, this is yet ANOTHER clueless Las Vegas restaurant! I would lie to take the owners, cooks and managers of this place on a field trip to Burger Bar, stripburger, Bradley Ogden, and Father’s Office (in LA) and see if even noticed that there burgers are junk in comaprison! I bet they wouldnt, they are clueless! John, you are right on about the bun to meat ratio being way off. In the Bouchon cookbook, Thomas Keller speeks almost poetically about French Onion soup and the importance of the broth to onion to bread to cheese ratio, but so many places just dont get that. My favorate thing about LBS is they ask you if you want “pink or no pink” in your burger…gimmie a break! f you look at the food and beverage history of Station Casinos, their inexplicable flip-flopping and lack of any clear direction in their decision making, the ridiculousness of this story becomes all the more run of the mill. RR and GVR are both beautiful properties, but they will never reach their full potential until Stations gives up control of their F&B operations to someone with a clue, and empowers them to actually make changes that will be honored. The fact that LBS isn’t owned by Stations is irrelevant when you look at the larger picture, like perhaps green-lighting an outside operated burger shop when there is a Fat Burger one hundred yards away. I feel I have to defend this restaurant, yes the burgers are expensive, and if they cut $3 off each one, I’d probably go once a week, instead of once a month but really this didn’t have to be a $50 meal. If your a single diner, the burger and fries is MORE than enough food. 2 apps here, plus the burger/fries is a ridiculous amount of food! Before tip at this restaurant you should never pay over $20 for one person, probably in the $17-20 range. Also, I don’t know if they are still doing it, but last time I was there if you bought a main course (i.e: a burger) Than every beer after that was only 75 cents. They didn’t really advertise this, and I didn’t know about it until I ordered my beer, but if you can take advantage of this, than its a really solid deal! I dont know what this guy is talking about, maybe he needs to take a few culinary courses to recognize quality ingredients!!! ive been told that the meat they use is the same prodcut that Fathers Office uses in LA, (so mr “get a clue”, needs to find a clue himself) and $12 a pound gruyere cheese on a hamburger, YUMMMMM cant find anything awesome like that at those cookie cutter crabshops liek strip burger, BLT and Burgerbar. as a matter of fact those places dont even cook fresh french fries, celebrity chefs using frozen fries??? what losers! i actually ate at BLT both in vegas and NYC, and i was severly disappointed. And a ‘lunch-box” lard-a$$ who ordered 2 apps and a huge burger and washed it down with 2 expensive bottled waters obviously hasnt watched a episode of rachel rays ’40$ a day’, i just dont know how someone could eat that much. and that much food at any of those strip places would be a WHOLE lot more expensive. I have eaten at LBS numerous times and love the ambience, the food and the service. i just wish they had a place on the east side so i could go for lunch while at work!!!!!!! Are you serious? I live for burgers and LBS has easily the best in town, and at a better price than either Burger Bar or BLT (do someresearch). Since they use a half pound beef patty and the whole burger wieghs one pound, I’m pretty sure your “ratio” is off, (do some research). Finally, blaming Station Casinos finacial problems on burger prices don’t fit since they are two totally different companies, (a little research would have unvieled that). If you fancy yourself to be some kind of journalist, you actually do a little homework before you write a review. No wonder your meal was $50! You got a burger, 3 side dishes, (if you count the big pile of fries the came with your burger), and 2 speciality waters! its nice to see some LBS employees commenting to defend their work place. The fact of the matter is LBS stinks. You people just dont get that! Robert M, the only thing LBS has on Fathers Office is that they have plenty of seats available! FO has a line out the door from the second it opens each afternoon…LBS has tumble weed blowing thru its dining room. “Ive been told” a lot of things too Robert M. Someone must have also told you that they make their own fries at LBS, they dont. The fries are very good, but they cant even cook a burger MR, how the hell are you going to believe they are making their fries in house? “Pink or no pink?” What the hell is that??? Defending your employer is honorable, but it’s always better to work at a place that needs no defense. Pink or no pink is Red Robin level service. “Has a clue”, half off isnt worth it. I wouldnt go if it was free, but I would go to the other places and pay more without question! All of the other places we mentioned can cook a burger R or MR, even Fuddruckers can…why cant LBS? because they stink, nothing to be with the law. get a clue must be a staff writer or ELV himself!!! As a one time employee of LBS, I feel that I need to clarify some info. Yes, our burgers run anywhere from 11-15 dollars a piece. To me, that is just a few dollars more than what you will pay for a value meal at any fast food place. And if you go during their happy hour, the ENTIRE food menu (burgers included) are half off! LBS uses all organic ingredients and make everything fresh by hand. Their buns and desserts are brought in from a local bakery and they get tons of compliments on them! No dry, small, sesame seed crusted buns here. As far as the meat is concerned, it all is too organic, free-range, and dry-aged, so eating it “pink” (medium to medrare) is perfectly safe as all it really is is a top sirloin steak ground up. I bet any other burger place in Vegas doesn’t use such a high quality beef! Trying to get exact temps on a burger can be difficult on a grill, hence why they ask pink or no pink. If you knew anything about cheese kurds, you would know that an actual kurd is not any type of cheese at all yet, yes its similar to a mozzarella, but similar being the key word! And they do love the competition of BLT, Stripbuger, and Burger Bar, mainly because their staff are some of LBS’ best regulars!! Also, LBS put all of the other Red Rock restaurants out of the lunch business, hence why most only open at 2pm or later for dinner. And the fact that you polished off 2 apps AND a perfect burger with fries blows my mind….90% of people can’t even get all the way through the buger itself without being stuffed. Maybe someone is a little cranky about what kind of hole their eating habits are making in their wallet!! I tried LBS for the 1st time on Saturday night, the night before Fathers day. I was very pleased with what we had. Was the meal pricey? Yes but to be honest with you, a burger even at Applebees or Chilis will run you about $10. I do not work in the food industry but I will say this. I will go back. The fact that it is half price between 3-6 sweetens the deal. The one thing this place has over some others for me is that I can use my comp dollars to pay. Is LBS perfect? No but I dont have to go to the strip and fight all the tourists and that is enough reason to not go to the other places. Hey if you want a really cheap burger the Famous Star is 99 cents at Carls Jr right now. Bon Appetit!!!! OK, I guess I can resolve this dispute. I drove all the way to Summerlin today to take my dad to LBS. I didn’t know what to expect, as Mr. ELV didn’t like it but a number of the commenters here did. So here’s what happened. With tip included, I paid $60 for lunch for both me and my dad. We both had root beer to drink. My dad ordered a beef burger with mushrooms and horseradish while I ordered a veggie burger with brie and alfalfa sprouts. He had the potato fries while I had sweet potato fries. For dessert, I ordered a brownie sundae that he took a few bites of. And honestly, all the food was excellent! Perhaps I’m just more of a bread person, but I appreciated the fresh wheat roll that supported my burger. And my goodness, the taste and freshness of the veggie patty easily rivaled the quality of my favorite veggie burger at Burger Bar! I don’t often disagree so sharply with Mr. ELV, but I guess I must today. LBS was easily worth $60 for a meal for 2. When I’m back in Summerlin and craving a burger, I’ll be going here. Agree and disagree with the ELS review. I agree that the bun size, and taste for that matter, are not exactly a match with the brain that screams “cheeseburger going down”. For 2 of our dishes I’d also agree with the point they were layered with a messy/slippery make up of various toppings that detracted a lot from the beef taste. My burger fell apart before I could even get 1 bite and fell apart again after I cut it in 2. I had to trash the mountain of lettuce in order to pick it up to eat it. Our kids shared a bag of burgers (sliders) ordered with nothing but cheese and ketchup and based on the 1 bite I had I’d say they totally blew away the big messy burgers the wife and I ordered. The stripped down sliders had a mega “CHEESEBURGER” classic taste to them….the beef flavor really came out and shined. The 2 varieties of fries as well as the onion rings we all tried were great. The pretzel appetizer was nothing to write home about. Desert was just plain ok as well. As far as service, everyone was SUPER friendly and pro-active which is always appreciated when found here in Las Vegas. The only problem was on the execution. Yes they recognized we could use a refill before our glasses got empty etc. but they took a long time to get us the appetizer, a long time to get us the entrees, a long time to get us a to-go box etc etc.. They were busy, but not packed, so we’ll have to give them a pass for this 1st trip and see what happens next time. As far as ELV heartache over the price, 12-15 bux for a gormet burger isn’t crazy out of line, but yes I’d like to see the prices 2-3 bux lower to qualify for “value”. His bill, considering the mountain of food he ordered (along with the high-priced beverages) was not out of line. I have no clue why he ordered as much as he did, the servings here are very generous. The atmosphere in the place is very nice although the music may be a bit loud for some and may not be what anyone in the senior set probably wants to hear. We’ll be going back for sure, this time with the less-is-more philosophy in regard to the burgers i.e. skip all the fancy crap pilled on top that detracts from the taste we’re after and just concentrate on the enjoying the great taste of the beef.